We are pleased to announce that we have signed an agreement with the company Miropac for the construction of a building of 7 000 sq. ft. in the industrial park of Delson. This company specializes in the sale and distribution of products of clothes shops and mannequins so grows its facilities in order to meet the growing demand of its customers. 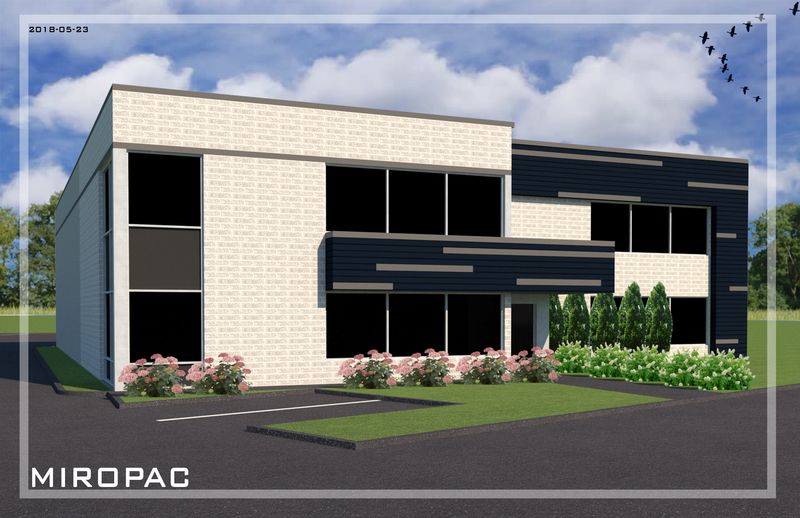 This building will be located on the Beauvais Street so consolidate office space and storage area. The building will have to be delivered by the end of 2018. If you want further information about the company, you can visit their website: Miropac.